American Kidney Services (AKS) has a donation center near you in Atlanta, Georgia, where you can bring your clothing and other household goods to help support our charity. Our mission is to help organizations continue offering financial aid and other services to some of the approximately 31 million individuals nationwide who are affected by kidney disease. The proceeds generated by the donated items we receive go toward funding vital programs like those of American Kidney Fund (AKF) that ensure dialysis patients receive their necessary medical treatments. 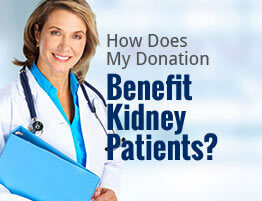 In order to encourage generous donating, AKS offers several convenient methods of supporting our cause. In addition to leaving items with an attendant at a mobile donation center in your neighborhood, you can also drop your donations off at our storefront location in Atlanta 24-hours-a-day, or at any one of the hundreds of drop boxes we’ve placed all around the area. Additionally, all local Value Village thrift department stores accept donations on our behalf during their normal business hours. But, you don’t even have leave your house to give to our charity organization, thanks to our complimentary donation pickup service. Just give us a call or use our online form to have items collected from your home or business. To learn more about where you might find an AKS donation center near you in the Atlanta, GA, area, please contact us today.